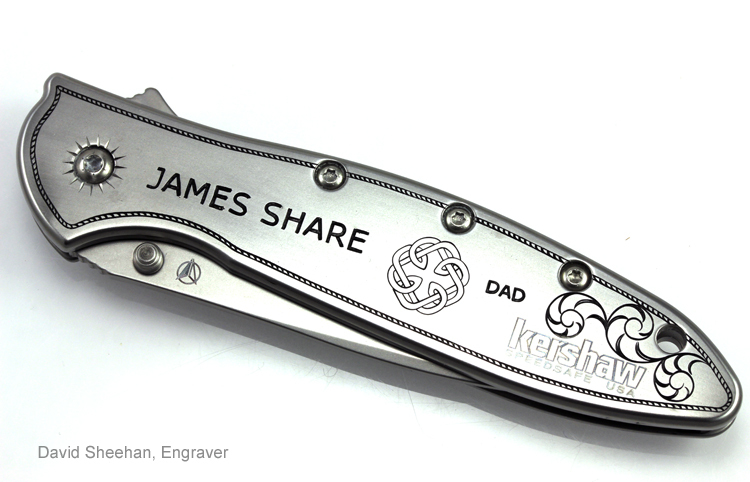 A very thoughtful groom commissioned me to hand engrave a set of Kershaw pocket knives. 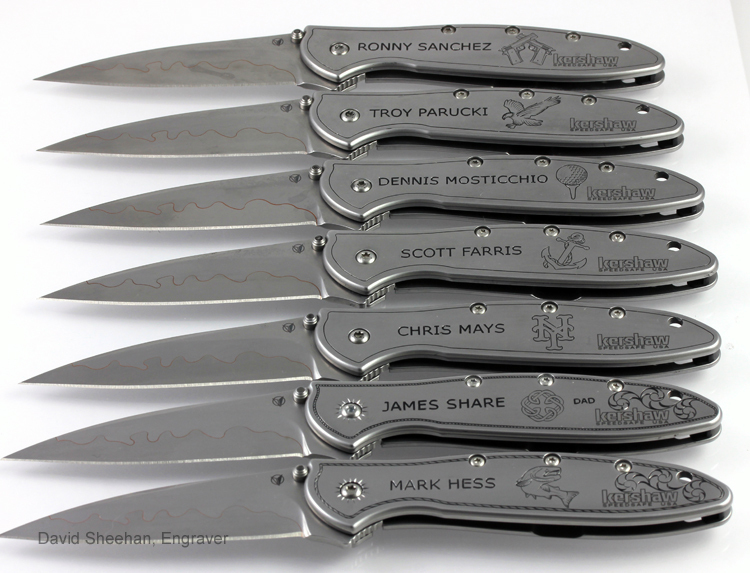 He let me know about something that was special to each of them and I hand engraved that special something into each of their knives along with their name. These sharp little Kershaw folders are top quality and the handles are made from a very good quality stainless steel that is quite hard. 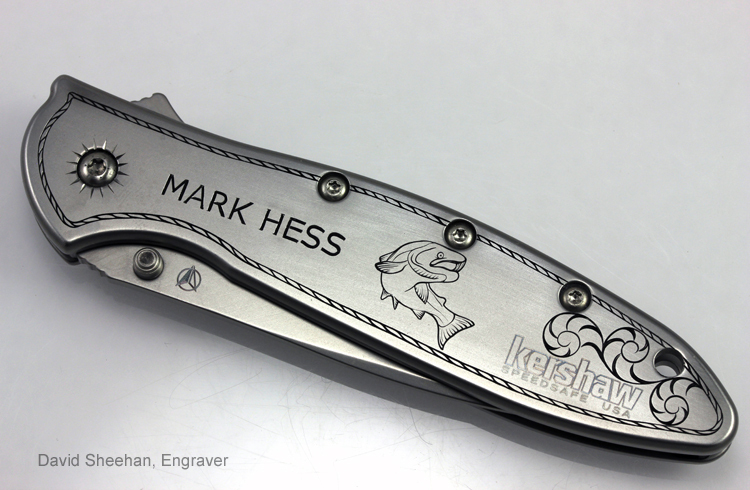 A special carbalt graver is used when I hand engrave these Kershaw Groomsmen Gifts.